It is true that pictures speak a thousand words, but when you add sound, they say even more! We hope that you’ll enjoy our selection of videos of school life. We said goodbye to our A Level students as they went on exam leave, and bid a fond farewell to parents. 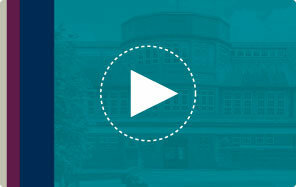 Hear from staff about Bradford Grammar School’s Sixth Form. Watch Bradford Grammar School’s Christmas Concert and hear about our Music department from pupils, parents and staff. Over 200 pieces of pupils’ artwork were displayed at Sunny Bank Mills Gallery, Farsley, in our second external exhibition. We are proud to celebrate the achievements of BGS pupils over the last academic year at our annual Speech Day in the impressive surroundings of the Price Hall. Watch the fantastic highlights of Bradford Grammar School’s production of Grease. Alistair and Jonny Brownlee returned to Bradford Grammar School as we renamed the BGS Pavilion in their name. The brothers were joined by Cross Country pupils old and new for a run around Lister Park, before the official renaming ceremony took place in the presence of pupils, staff and friends of Bradford Grammar. We welcomed back recent BGS leavers to a reunion at the School where they caught up with classmates and teachers. Watch outstanding performances from our Year 13 students in their final concert before they leave BGS.